Inspiration struck! So I dragged my surprisingly agreeable man with me to Fancy Tiger to help hold bolts of fabric while I strolled along the shelves looking for the perfect prints (dinner was my treat that night so don’t feel too bad for him). My idea was to make something colorful, with pops of black and white here and there, using Kona coal as the background fabric so the colors contrasted against the dark grey. I picked yellows, pinks, greens and corals. I then took to Photoshop to make a great design, and the project took shape. I cut and sewed all 120 HST’s for the quilt, then realized as I began arranging the squares that the coral was all wrong. The values were wrong, it looked wrong with the pinks, it just wasn’t working. I grudgingly took the corals out of the design and started thinking of Plan B. Back to Fancy Tiger (this time, by myself—I was a woman on a mission). I needed a color to replace the corals. Blue seemed like my best bet, so I found a nice batch that I imagined would be the deal-makers. Here we go. I’ve got blue, pink, green and yellow. The yellow and blue would pair well together, as would the pink and green –I could incorporate these pairings into the design. 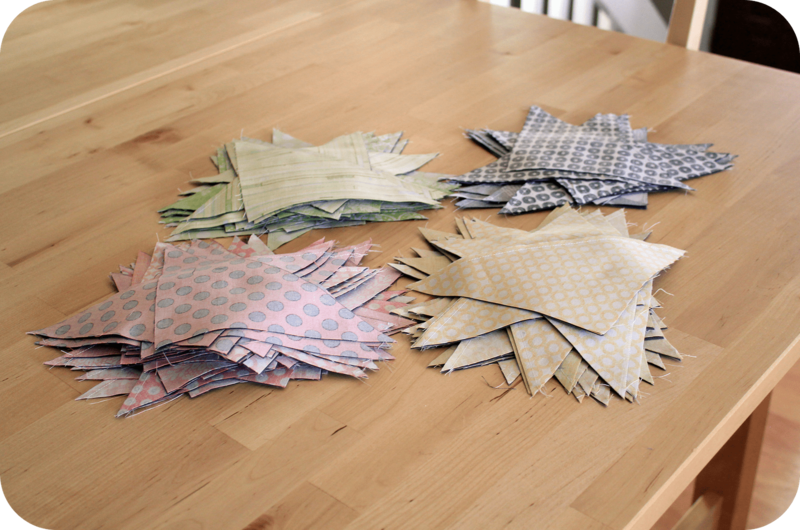 120 HST’s later, the project is now scraps. Mojo-less. A quilt abandoned. I trimmed and trimmed (120 HST’s isn’t that many compared to some of the 500-count projects I’ve seen, but it’s still no picnic). 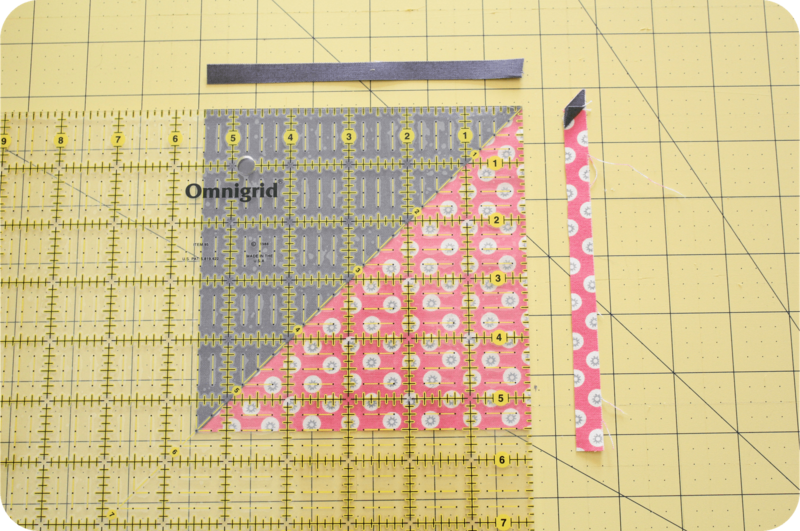 Took all my perfectly square HST’s back to the design board and could not find a single arrangement of the colors that I liked. Not one. 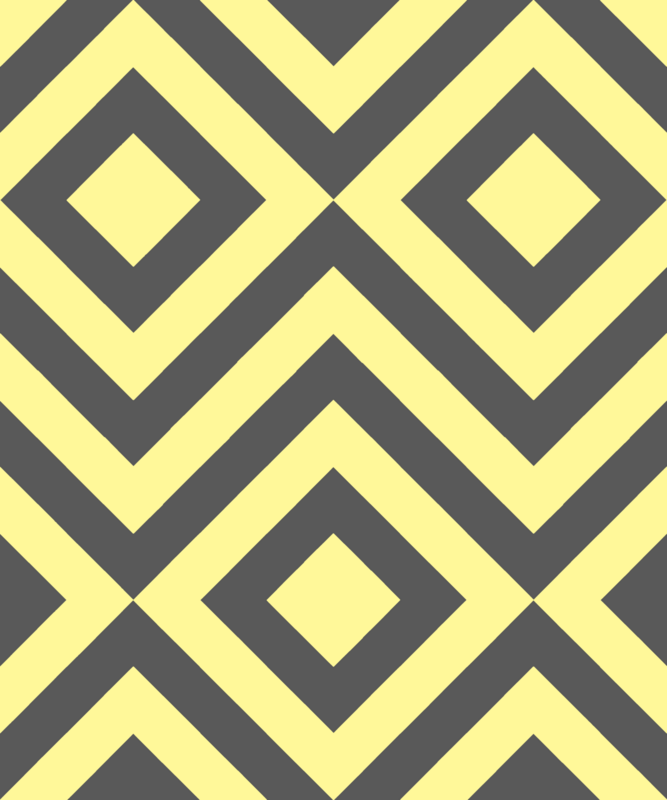 Shield your eyes from this next photo if you don’t wish to endure the dullness of the color scheme. I wanted the quilt to be modern and colorful, and for the color combinations to be something an adult woman would like (I can’t give away much else about the possible recipient, but know that I’m very disappointed she won’t be getting a quilt this year). I love these prints individually, but there’s something about the way everything looked together that wasn’t “brightly colorful adult mod” enough for me. It looks a little childish, a little amateurish, and a lot uninspiring. For now, though, I’ve had too large a helping of this “quilt to nowhere” and will revisit when I’m more inspired. Or maybe I won’t revisit it at all. Don’t judge me. Anyway, I’ll finish with an upswing. All of the dullness above is nothing a little—AHEM—Flea Market Fancy can’t fix! Enjoy the eye candy and have a great week! Oh dear! I think you did the right thing by laying it all aside for now. You never know, maybe in a year you'll find all those HST's hidden away and inspiration will strike.I hate when that happens though, all that time and to end up with nothing. A little heartbreaking but life is too short for uninspiring projects! LOL! step away for a few days and see what you think. i get tired of fabrics when i use them for too long. you might just have fabric fatigue! 😉 i really love them maybe you just need to make it scrappier… love the fmf though. i have some on its way to me now! I completely understand….I feel like I do that more often than I want to admit! 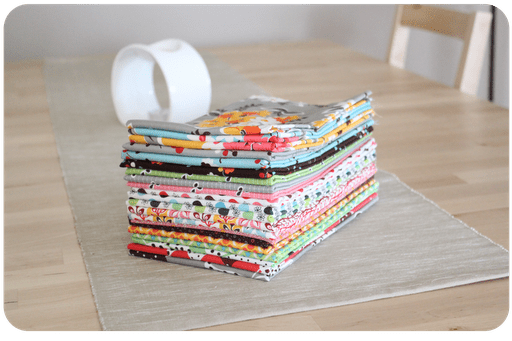 I've got a drawer full of "not what I thought blocks"…with that being said I LOVE your blocks and you may like it after all…once they are pieced together and quilted. But if your not in love than it is hard to continue on. Good Luck! So sad! I admire your strength in abandoning it – it DOES take courage to recognize that, in this case, the juice would not be worth the squeeze. We all look forward to your next quilt – it will be a showstopper for sure!